Killer Characters: Happy Friday the 13th! 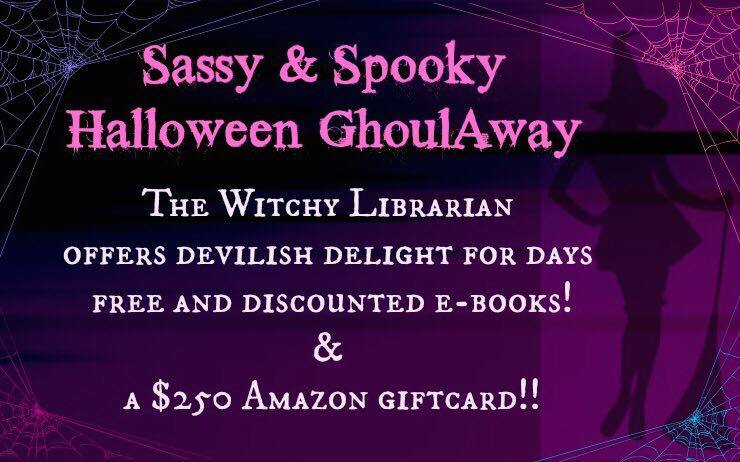 Celebrate with FREE book and giveaway! Happy Friday the 13th! 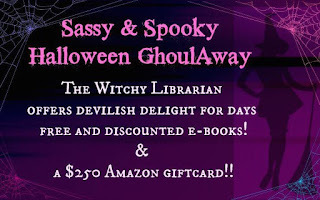 Celebrate with FREE book and giveaway! I truly was just playing a game of Truth or Spell with my sister. I didn’t intend for anyone to get hurt. Anyone to lose an important package. 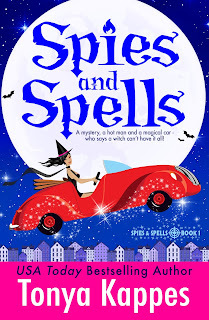 Or anyone to discover I had put a spell him, a hunky him, that was supposed to break in a few hours. . .only the spell never took and it threw me right into an investigation with Mick Jasper, undercover agent for SKUL, a little-known division of Interpol – the Secret Keepers of the Universal Laws. Trust me, I’m adjusting to the fact that I might never have my Witchy Hour, which is the hour that everything in my life up until then becomes clear and I know exactly what I’m to use my powers for. Everyone in my family has had their Witchy Hour. I’m nearing the thirty year old mark and I’m still serving patrons at our family diner, The Brew. So WHAT am I to do when this Mick Jasper claims I messed up his investigation, so I have to help him fix it? Seriously, I have no clue about guns, undercover work, or even the law. My stress level is high because I can’t tell my family about him and him about my family. What is a witch to do? What was your favorite Halloween costume that you wore as a child? 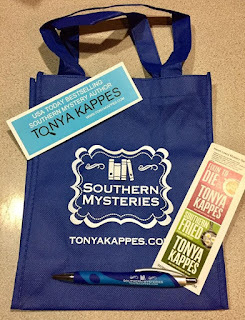 Leave a comment to be entered to win this Southern Mystery tote and goodies! I'll pick a winner on Monday! You can grab Spies and Spells for FREE right now on ebook along with several other fun witchy reads for Halloween by CLICKING HERE! Do you love this wood Thankful sign? It can be yours!! Be sure to head over to Tonyakappes.com under the Front Porch Sittin' tab and enter under the giveaways! Are you a member of my newsletter? There's fun monthly giveaways you don't want to miss! Scarecrow from the Wizard of oz was my favorite. A gypsy, I took a lot of time with this and it ended up being so cold you could see your breath. I was so stubborn that I wouldn't' wear a coat because who would be able to see my costume if it was covered up. I did wear gloves in between houses. I was a witch and won 1st prize ($3) and grand prize ($10). I owe it to my fab mom and her mad makeup skills. Wonderful memory! Didn't have much money so we usually had a mask that went over your eyes. Wonder Woman! I loved Linda Carter, she was amazing. Thank you for the walk down memory lane and the fun giveaway. I loved being a witch. I really wanted to do some magical intervention on all the bullies at school. I liked being a witch. My favorite was Casper the Ghost. Tweety Bird costume my sister made.